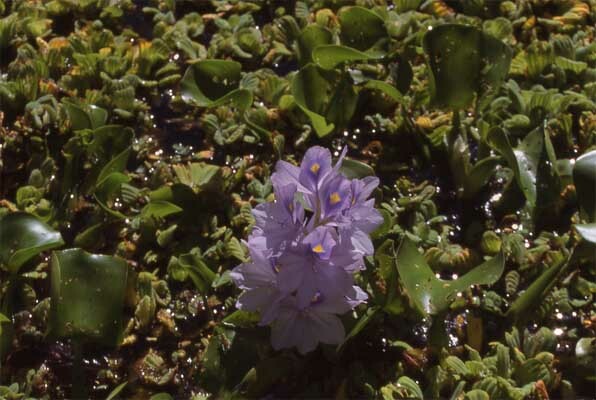 The water hyacinth (Eichhornia crassipes) is native to South America, but has spread throughout the tropics. In some parts of the world it is a serious pest. This plant and its companion water lettuce (Pistia stratiotes), which has ribbed leaves (also visible in the picture), quickly cover the water surface. In Brazil, managers successfully controlled the plant by re-introducing manateesa more environmentally friendly approach than the usual strategy of spraying herbicides!